When we began Southern Lady magazine in 1999, we tapped into a wonderful world of women who love to put their personal touch on just about every aspect of their daily lives. I, being one of them, love to set a beautiful table, cook wonderful meals, celebrate entrepreneur women who have launched wonderful businesses, and collect blue and white china. So why not start a magazine that celebrates women? And we did! Our goal was to celebrate, decorate, and inspire, and through the pages we find wonderful features that we all love. It’s actually hard to select from the lovely photos which ones to print. Today, 15 years later, Southern Lady is a magazine that has a loyal following and new women subscribing every week. We also get thousands of e-mails every month from our readers offering wonderful editorial ideas for the magazine, and they all want more of Southern Lady. Women love to belong to groups and share thoughts, just like we do here on The Ribbon In My Journal. So we developed a club so that more Southern Lady comes to you every month through newsletters, videos, and exclusive products. 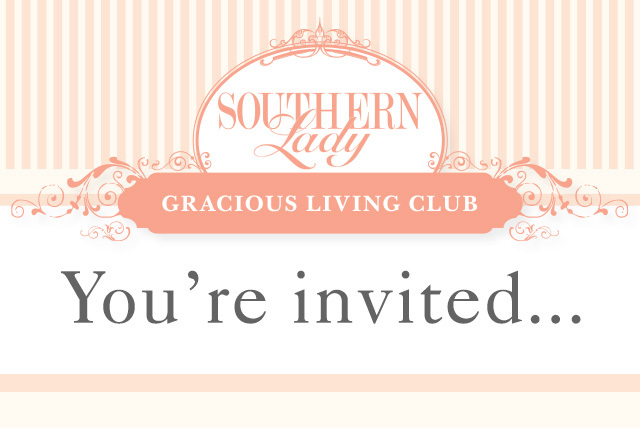 This week, we launched the Southern Lady Gracious Living Club, an extension of the magazine. The membership levels vary, but each has wonderful offerings. I am excited to be planning and working on the newsletters, videos, and products that will be exclusive to the club. Take a look at the website and join us. Gracious Living Club is for women who love life and celebrate the beauty of it every day. I cannot find a log in spot for the club or the actual website address. I have been a Platinum Member since fall of 2014. I have not received any correspondence for the exclusive monthly videos or an invitation to help decide.topics the magazine will cover or any other special offers to members. I also have lost my password but since I cannot locate the website, I cannot communicate my need to reset the password. I have received the free book and gift subscription though. I didn’t find a price tag. click on the link above and it will take you directly to the page. The prices are at the bottom. Thank you for your interest. My libraian has Victoria among the magazines in this small local library but not all Fraser Valley libraries carry Victoria. My librarian is interested in choosing other magazines such as Victoria, which is so very popular. I have suggested several to her such as your Teatime one and Southern Lady; however they are very, very hard to find in local bookstores, etc. My two copies of Southern Lady were found at our Antique Store and I have never found copies of Teatime. Is it possible for you to mail me some data on both magazines that I can give to my librarian as she is now ordering magazines for next year? There she select the magazines that she is interested in receiving. Thank you. Upon joining, if I am a current subscriber, are the 7 issues tacked on to my current subscription. In other words, will my current subscription be extended 7 issues. It all sounds wonderful! Click on take a look on the website, then click on the plan (1, 2, 3) and it gives you all the information on what is provided. 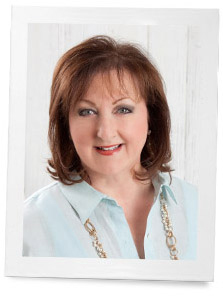 Phyllis, I just renewed my Southern Lady membership–do you have a provision for current subscribers? There are several different levels to choose from. The website has all the details. We have lots of great things planned. Apparently it is not gracious to mention costs. What is the cost to join Gracious Living Club?